Lee Strasberg told us that he was fascinated by the preliminary sketches, studies, and drawings done by his favorite artists for their future work, and he likened that process to an acting Improvisation, where an actor builds a work of art - a performance - by expressing preliminary thoughts, which are changed, molded and finessed until you perfect your work. Improvisation inspires you to face and deal with the challenges of the character by looking at the world differently, taking risks and making spontaneous connections, all of which can lead to solutions that carve out a path toward the character. Improvisation is a procedure that you perform extemporaneously without a prepared dialogue or action: You’re exploring a theme, a relationship, an event or a situation. When preparing for scenes, monologues and during rehearsals, or throughout a production, you can use improvisation whenever there’s a need for clarification and understanding of a specific moment in the scene. You search for behavior without worrying about how to feel or say the lines. Be free of any self-consciousness. Improvisation requires imagination, and a kind of creativity that allows for some chaos, mistakes, experimentation, and coming upon fresh, unexpected and unusual behaviors. Improvisation is a theatrical art form as old as acting itself. In its earliest form, shamans may have acted out their dreams to the members of their clan or tribe. In the sixteenth century, the Comedia dell’arte became one of the first professional acting companies to employ improvised scenarios on streets and in market places, using masks with exaggerated features to play a fixed scheme of action with basic stock characters and adapting specific qualities to their own personalities using traditional dialogue passed on by word of mouth. They sometimes broke through the fourth wall that separates the action from the audience and addressed the audience directly while acting out unscripted scenes for a specific circumstance with references to local and topical events, all while staying true to their exaggerated personas. By using Improvisation and inventing scenarios that aren’t in the play or script, you develop a familiarity with a character. Acting out scenes that may have happened before or after the play’s action builds history and strengthens your belief in what you’re doing. When the production is from another era with an unfamiliar culture, improvisations are especially valuable for you to acclimate to the imaginary world of the play. In “An Actor Prepares,” Stanislavsky says that the play, the characters in it, the circumstances and all art is the product of imagination. He said that for the actor “to turn the play into a theatrical reality... imagination plays the far greatest part.” Improvisation as a means of exercising your imagination is used in training in rehearsal procedure, or in production when needed. Harold Clurman, in his book, “On Directing,” said that Improvisation is not a form of anarchy, and it doesn’t mean doing anything you want. The Group Theatre in the 1930’s used Improvisation in staging their highly regarded, progressive, political, and innovative work as The Method began to evolve. Stanislavsky, who was fluent in French, used the French term, etude, meaning a focused improvisation or study, and can also refer to a short solo performance musicians use to perfect their artistry and skills. There’s an on-going discussion about whether the terms, etude and Improvisation should be used interchangeably, or if one is more general and the other more specific. Either way, I teach the technique as a means to act with greater self-awareness and inventiveness in order to enhance your performance. I have encountered talented actors who have worked with the ideas and techniques of Lee Strasberg, Michael Chekhov, Sanford Meisner, Stella Adler, Elia Kazan, Uta Hagen, Robert Lewis, and Kim Stanley, all highly regarded, who have made invaluable contributions to both The Method and the craft of acting. I believe there are more similar ties between these artists than differences in their search for authenticity and truth. 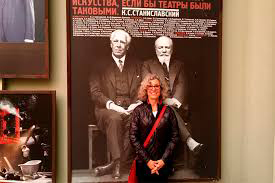 You will find threads connecting their words and methods to the work of Constantin Stanislavsky, Vladimir Nemirovich Danchenko and their trailblazing creation of the MAT. Explore the different approaches and take from each those things that resonate most with you to illuminate the precarious human condition by making conscious artistic choices in your work. You will learn resilience, perseverance, experimentation, and investigation experienced through the lens of the senses. This work can mold your spiritual and intellectual life and give it profound meaning. It tests you and your ability to handle chance encounters and accidents, and, it’s said, that those not tested can’t know enough about themselves and the world to act well. 2017 Excerpt from The Method Acting Exercises Handbook by Lola Cohen. Published by Routledge. Reprinted with the permission of the author. 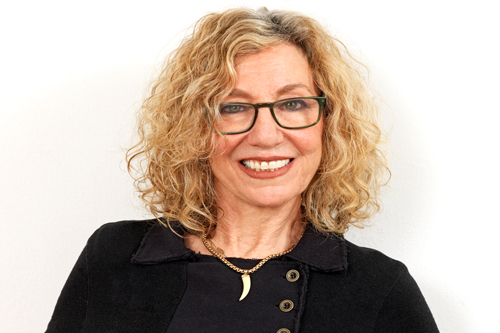 LOLA COHEN began her life in the Theater by studying acting with Lee Strasberg during the last five years of his life (1977 to 1982) at The Lee Strasberg Theater and Film Institute in New York and Los Angeles. She also trained with Kim Stanley, Jose Quintero, and David Proval. 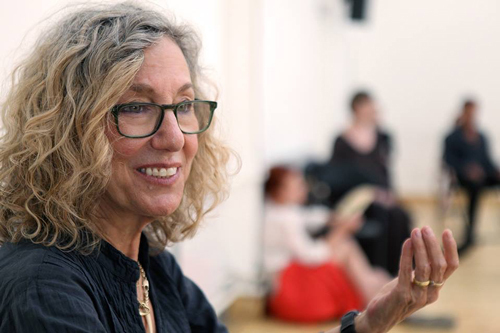 She has taught at the Strasberg Institute in NY and LA, NYU Tisch School of the Arts, Department of Drama at the Strasberg Institute. An Adjunct Associate Professor of Law at Brooklyn Law School, she has also taught at American University, Washington, D.C., Milan’s Academia 09, Melikhovo’s Telltojoy Theater-Chekhov International Theater School, Russian Center for Science and Culture in Copenhagen, National Film School of Denmark & Danish Film Institute, Copenhagen’s Holberg Film/Theatre School, Mon’s Theatre High School Rødkilde, Pratt Institute, and at Boston’s MASS Design Group. As a member of Bob Dylan’s “Rolling Thunder Review,” she made her film debut in “Renaldo and Clara” in 1975 and was Judge Kaplan in Rik Cordero’s “Inside a Change,” which won best film at HBO’s Latino International Film Festival in 2010. 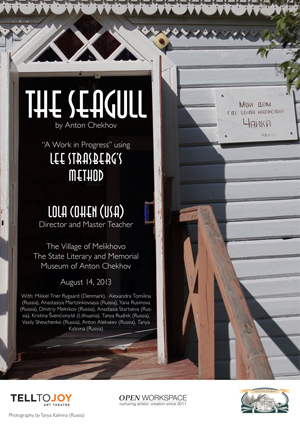 Ms. Cohen’s directing includes “A Midsummer Night’s Dream” (Woodstock Youth Theater), “The Maids” (Strasberg Institute,” “Snowangel” (SUNY-Ulster, Strasberg Institute), and “The Seagull (a Work in Progress)” in Melikhovo, Russia. 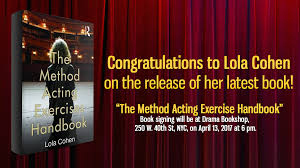 Ms. Cohen’s books include “The Lee Strasberg Notes” was published in 2010, and “The Method Acting Exercises Handbook,” a concise and practical guide to the acting exercises originally devised by Lee Strasberg.